I often speak to my French friends about the beauty of Canada and how Montreal and Quebec City are an important piece of the history of French in America. My great grandmother who moved to New England, when she was very young, was French Canadian and she was also a French interpreter in WWII. Growing up in Boston we often visited Quebec and cultural exchange was very important. 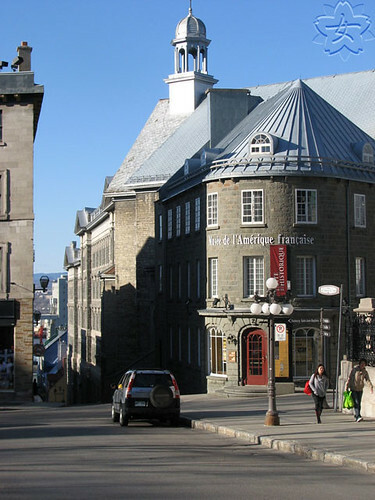 The Muesum of French America is in Quebec City and should not be missed, preferably in the Spring or Early Fall to enjoy the beauty of this region of America. Canadians are American after all and we are all here for some reason and that reason is often more similar than we think. This beautiful museum offers many multidisciplinary insights into the history of North America’s French communities. There are two permanent exhibits: The Settling of French America is a multimedia trip from France to the colonies, while The History of the Collections Seminaire de Quebec boasts an unmatched assortment of religious art and scientific instruments.